This is the place to learn all about how NIM can work for you! We’re constantly updating NIM in line with customer feedback, and we strive to keep these videos as current as possible.However, if you want to know more about a feature that isn’t currently discussed below, ask us via the NIM Support Forum or send us an email. We’d be happy to point you in the right direction! 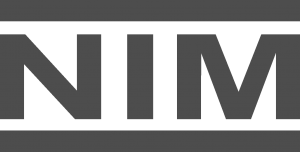 Install a new NIM VM – including Oracle VirtualBox installation, configuring the NIM VM network, and licensing. Set the NIM Media Path to an external location using Virtualbox Shared Folders. Use Shared Folders within VirtualBox to define NIM Project Servers. How to update the NIM VM. How to create a new job in NIM. Discover job configuration and using NIM Project Structures to bring a job online. Discover the collaborative review available in NIM including tools for markup and notes on videos, still images, and PDFs. Creating and editing assets and shots in NIM. Add tasks and workflows, setting assignments, status, and scheduling. How to use NIM’s scheduler and create events for resources and users. Discover the NIM Nuke Studio® Connector and its features, including export of shots to NIM, transcoding elements, building tracking from NIM elements, and round-tripping versions with Nuke comps. Find out about the NIM Nuke® Connectors, using the NIM menu, using NIM Write nodes, and direct uploading of dailies using Deadline Render Management. Take an in-depth look at the NIM Maya® Connector and how to use NIM published files and Asset Masters with Maya® file referencing. See the unique options available in the NIM Photoshop Connector. Take a tour through the NIM Flame® Connector, including publishing sequences to NIM, exporting edits and dailies, and updating OpenClip versions. The NIM Abode® Premiere® Connector allows users to work with timelines in Premiere as a fully integrated application in the pipeline. Creating, versioning, copying, and generating a bid PDF in NIM. Explore the new features for bidding in NIM 2.0. An overview of entering and editing job expenses in NIM. Discover NIM Job Actuals – learn how to create a Job Projection and how to reconcile the Job Actualization. The administration of job timecards from a producer’s perspective in NIM. Add a crew to a job and set their rates and rate types in NIM.